A warm morning greeted my day in Riyadh, the capital city of Saudi Arabia. Like a desert, the sun shines during summer in a soaring high temperature reaching 45 to 50 degrees centigrade or sometimes even higher. 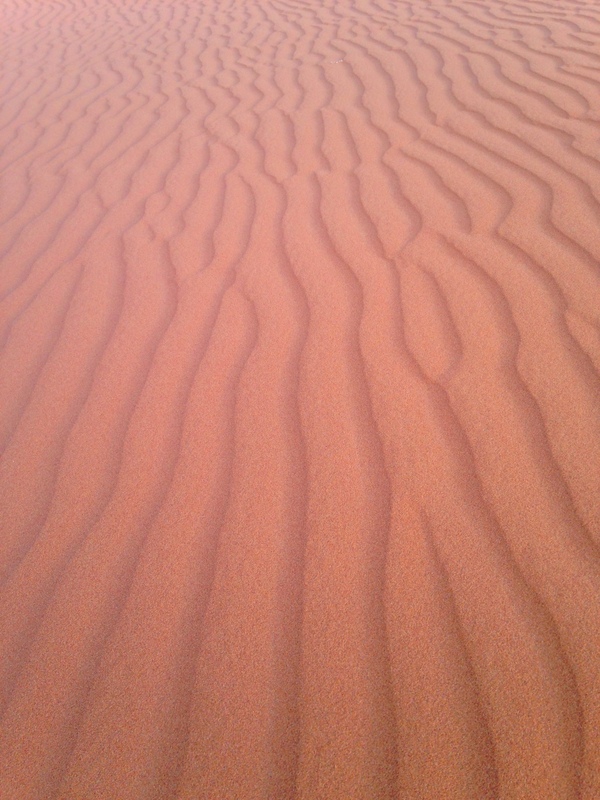 Since it is situated in a desert plateau, sand storm is a common occurrence. In winter, it is pleasant to harsh windy cold weather. 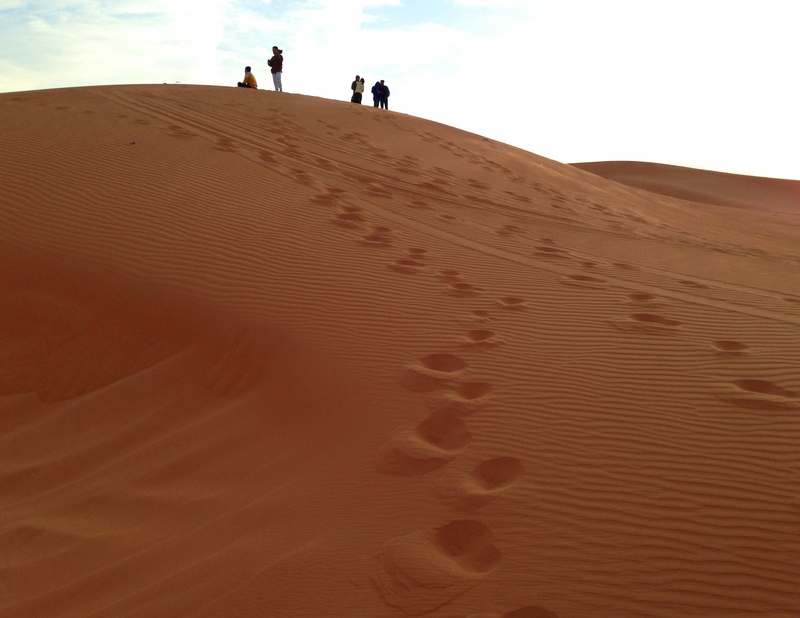 Family and friends usually asked me, what it was like living in Riyadh. Honestly, I usually found myself speechless… totally at a loss for words. Not that I had nothing to say. It’s just that I cannot simply say something profound like, “It’s a dream come true to live in Riyadh,” because that sounds too good to be true. It doesn’t truly construe my life here. In order for me to answer that, I need to show everyone the things I truly enjoy doing while living here, and the things that I am struggling up to this moment. In parts, let me bring you to my journey as an expat living and traveling this city. 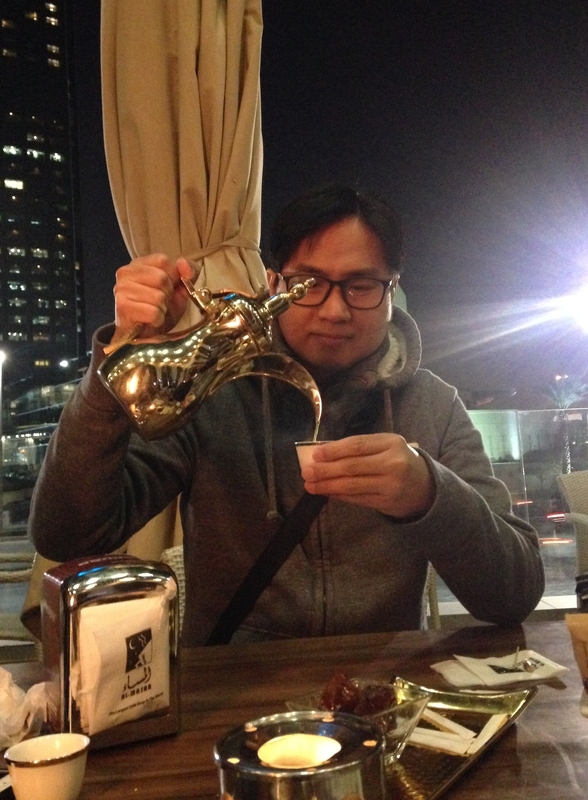 For this article, let’s talk about the flavors of Riyadh, one of those I truly enjoyed… FOOD! Food of every country I visited truly reminds me of the place and its people. Each time I taste the local food, it’s like I am savoring a bit of history and culture among others. NAJD VILLAGE RESTAURANT offers the finest authentic Arab flavors. It’s like feasting to the next level with a setting fit for non Arabs clamoring for its rich culture, taste and traditions. 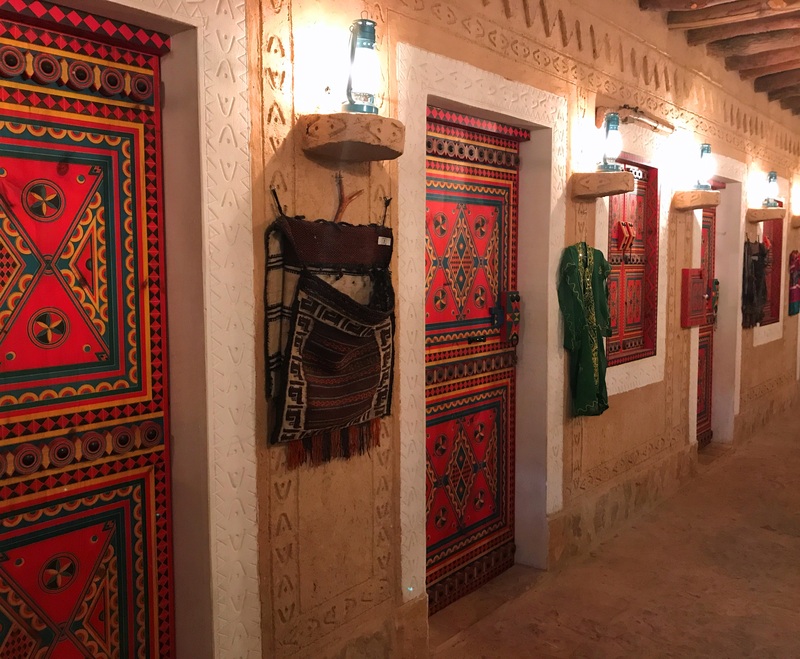 Flavors and authenticity of the food in a traditional unique restaurant ambiance is important to me, and Najd Village Restaurant really topped it all. 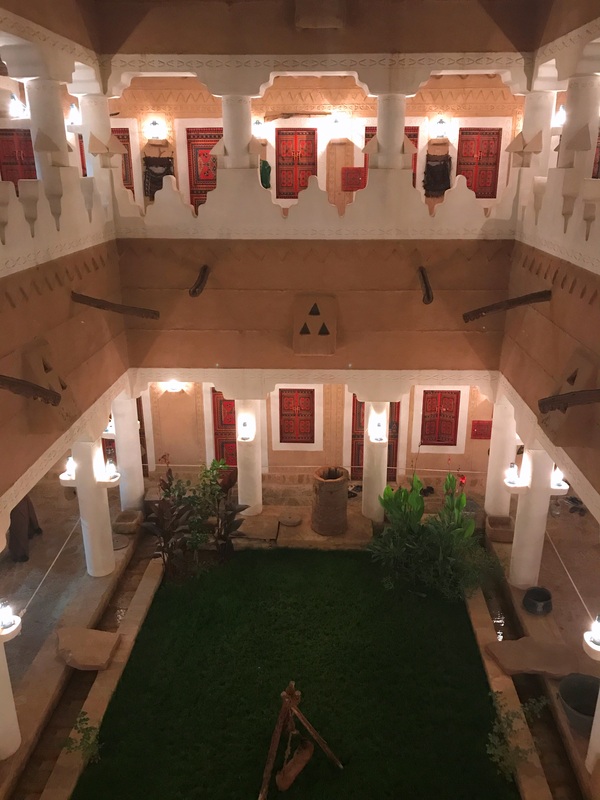 Traditionally, the food was served at a carpeted floor in a room designed and decorated like an old Arab house. There’s a lot of authentic bold flavors, and the variety of foods served to us resonates in my pallets extensively. Rice, cooked in different ways topped with meat (lamb, chicken and shrimp). The mouth watering aroma of different lamb and vegetable stew with mixed spices. Fresh vegetable salad, tawa bread, kubus, sambosa among others was served as well. 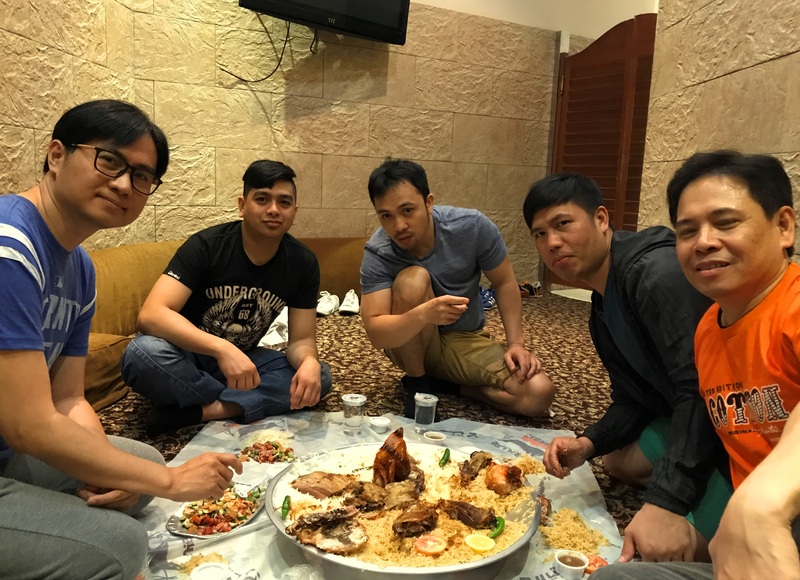 A unique way to dine out with your friends here in Riyadh, is to experience eating KABSA in one of the many restaurants that offer this Saudi cuisine. Where the size of the actual plate depends on the number of people eating together using their bare hands. Exciting as it sounds, consider a huge plate of 60 cm. in diameter just for me and my 4 friends… enormous isn’t it! KABSA are usually made with rice, meat, vegetable and a mixture of spices. 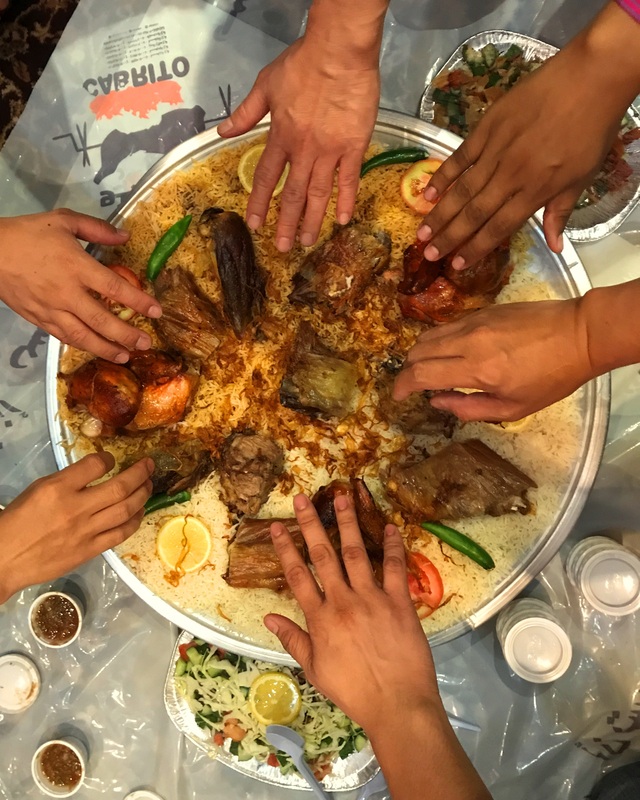 There are many kind of kabsa and each kind has uniqueness about it. The meat used can be lamb, goat, chicken, beef, camel, fish or shrimp. One of my favorite and perhaps the cheapest and most delicious fast food for me that is available and served extensively from roadside shops is the SHAWARMA. It can be lamb, beef and my favorite chicken. It is cooked upright on a rotating spit and served in soft pita bread with salad, pickles, sauces and French fries. To complement your shawarma, have a fresh fruit juice. Just like shawarma, another fast food I love is FALAFEL. It is a fritter made from ground chickpeas with herbs wrapped in a flat bread topped with vegetable salad, pickled vegetable, hard boiled egg, hot sauce and drizzled with tahini-based sauce. The best way to experience authentic food anywhere is through the home of a local. Cooking good Saudi cuisine is a local’s way of welcoming a guest. Upon entering the home of my colleague, who’s also a very good friend of mine, I smell the delicious aroma of the appetizing spices wafting through the air. Salam Alaikum, Marhaba, and Masha’allah are usually the greetings upon entering a Saudi’s house. Lastly, Saudi DATES is one of the best I ever tasted. There’s a variety of dates that was produced all over the country. I personally like the natural dried dates without sugar coated all over it. It is usually served upon arrival in an authentic Arab restaurant and in every home of locals. It is best eaten with QAHWA or the Saudi coffee that is made of ginger or with Arabian tea with mint. I was lucky to be invited several times in different occasions, from a Ramadan Iftar, Eid and normal dinners. I can’t thank my friend and his family enough for letting me experience an absolute Saudi culinary delights. Sharing a meal with others is an old honored tradition in the Arabic world and an expression of hospitality. Nostalgic.. thanks for bringing me back Mr. Blogger! I was hoping it would have a line or two. Nice one kuya jhun….! I also realy to eat kabsa w/ laban..!